The Rugby Mini Bluetooth Speaker has a quality and funny design for easy functionality. It will fill up your room with clean and clear music and allows you to make and receive Hands-free calls. • Professional: Quality, funny design, easy functionality. Supports Laptops, MP3/MP4 devices, TF/USB Flash Drive, any Bluetooth-supported audio devices. • Perfect subwoofer: Fill up your room with clean and clear music. With the bluetooth, it sends good interference-free performance, high data rate, high quality and efficiency. • Coming with a Built-In Microphone: Allow you to make and receive Hands-free calls and listen to the other person loud through the speaker. If a call comes in when you are playing your music, the speaker will stop music and you will hear your phone ring and continue playing after your call ended. • Suitable for outdoor and indoor,outgoing, traveling, morning exercising, playing sports,dancing, afternoon tea, etc. The sound is stereo and loud, worth the price. An absolute steal! Just hope the speaker can stand over one year's usage. It can't compete speakers priced over $100, but it's really worthwhile for such nice quality and sound, give it a try if you don't have strict high sound requirement. Well done, buybest. It's enjoyable to shop at here. 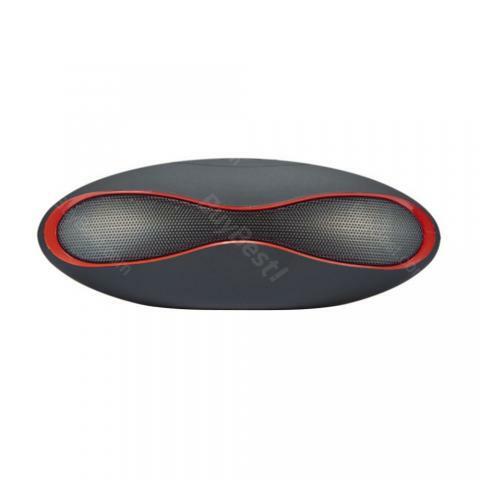 The bluetooth speaker performs as well as those from big brands. Thank you buybest, for such great product and cheap price. I would buy more from your site. Thumb up for your quick customer service. My relative said the mini speaker gift was great and useful. Thanks, buybest for the satisfactory product. The speaker is great in total, but seems to lose a little sound quality at max volume. It's loud and has enjoyable sound effect in quiet situations. It's surprised to buy such a quality speaker with so low price. The Lithium Battery can stand a few days, quite satisfied with the long battery life.